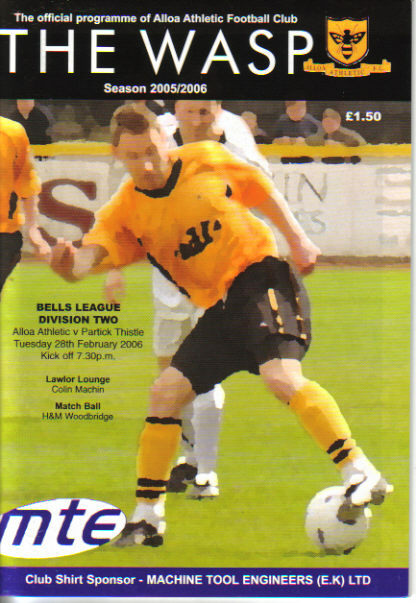 PM - Retford T~ (Lincs) v Louth; (18/02); 32pp; w/a; . 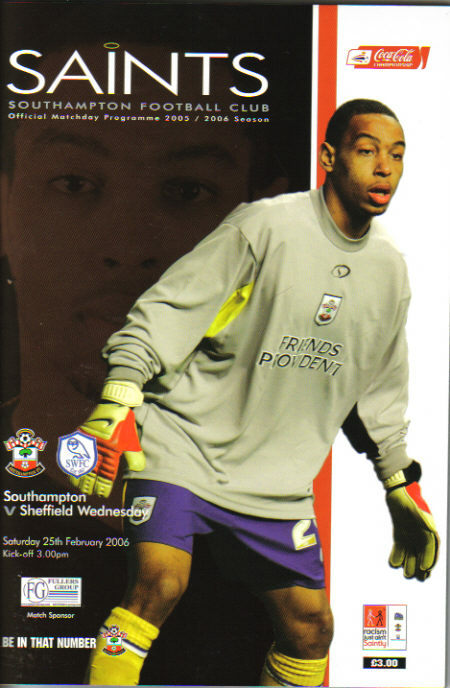 01 - Southampton* (FC) v Sheff Wd (25/02); 76pp; £3; 02 - Alloa Ath* (SFL2) v P Thistle; (28/02); 36pp; £1.50 03 - Man City (Prem) v West H U; (28/01); 60pp; £2.50; 04 - Sq Gate (NWCL) v NBBP; (11/02); FAV5; pp; £1.50; 05 - England Nat XI (EC) v Italy; (15/02); 16pp; £2; 06 - Newmarket (ECL) v C Ld; (FAV6); (04/03); 32pp; £1; . 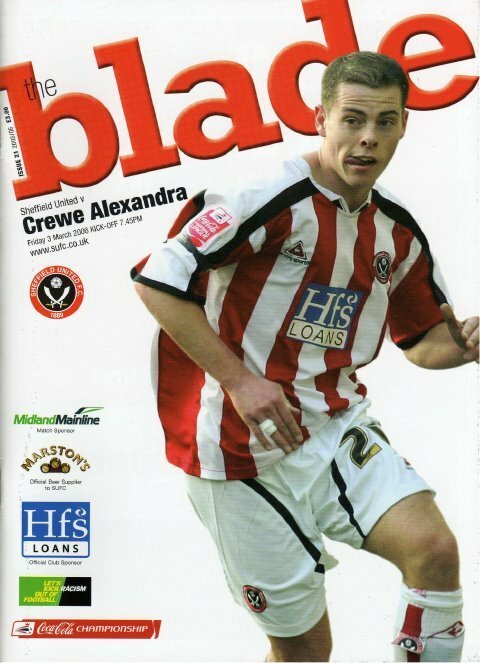 07 - Sheffield Utd# (FC) v Crewe A; (03/03); £2.50; . 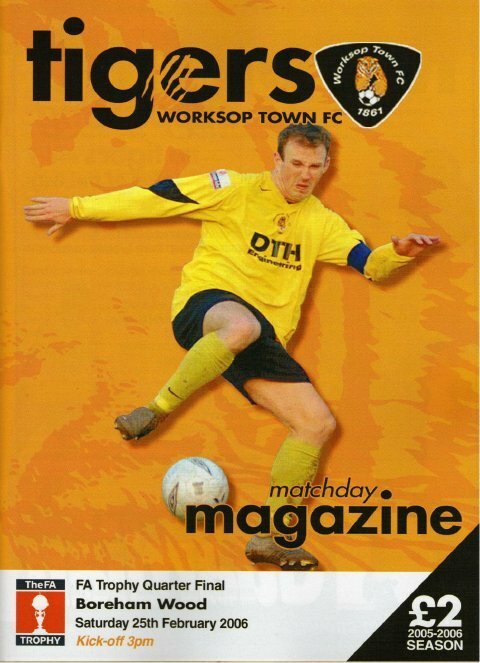 08 - Worksop T# (NCN) v B Wood (FATQF) (25/02); £2; . 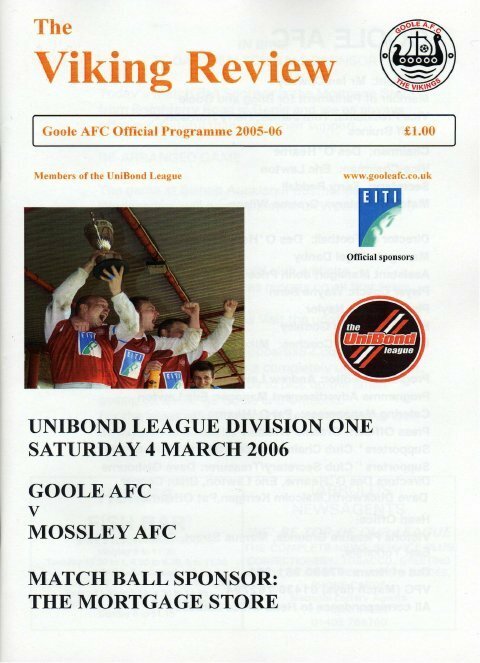 09 - Goole AFC# (NPL1) v Mossley; (04/03); £1.00; . 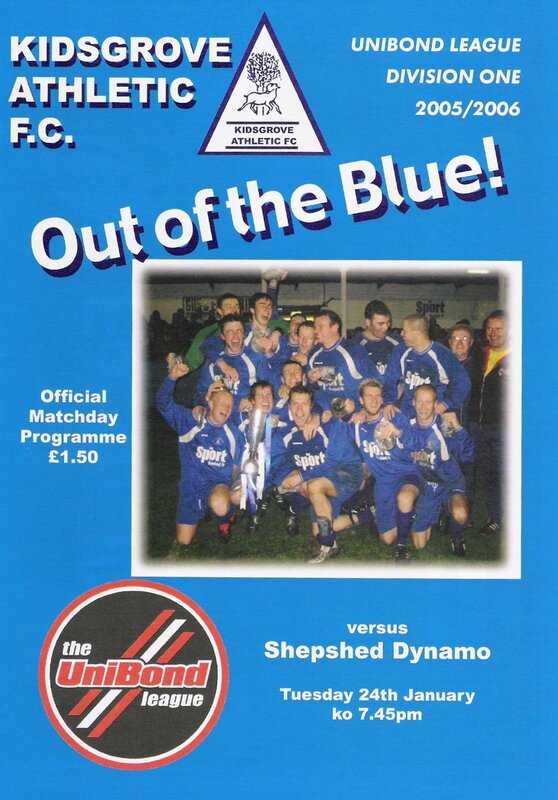 10 - Kidsgrove> (UL1) v Shep Dyn; (24/01); 60pp; £1.50; . 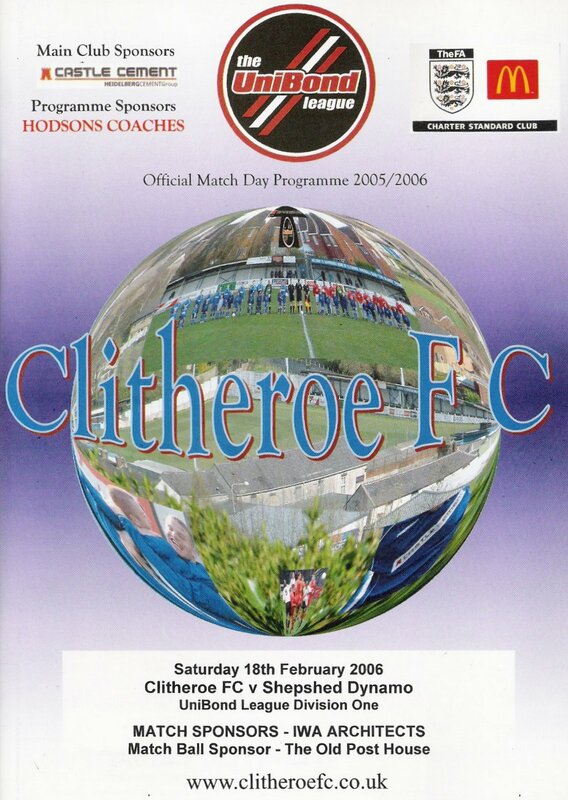 11 - Clitheroe> (UL1) v Shep Dyn; (18/02); 72pp; £1; . 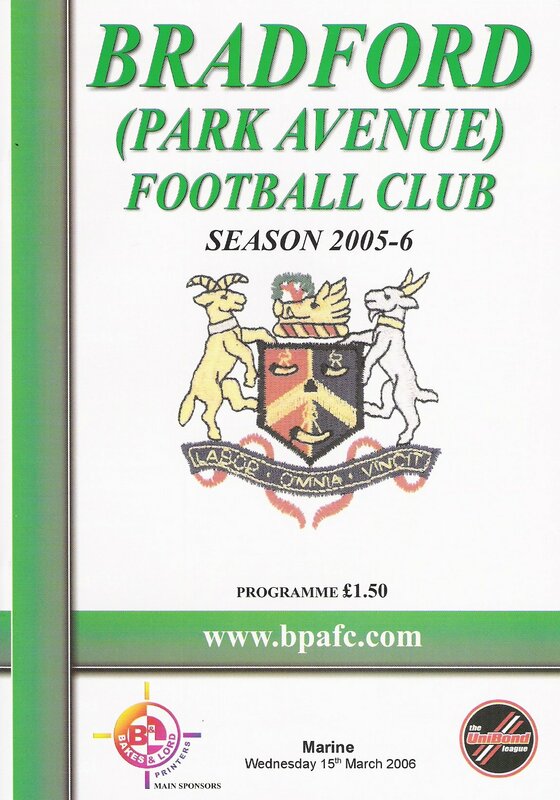 12 - Brad PA> (UPL) v Marine; (08/03); 40pp; £1.50; . 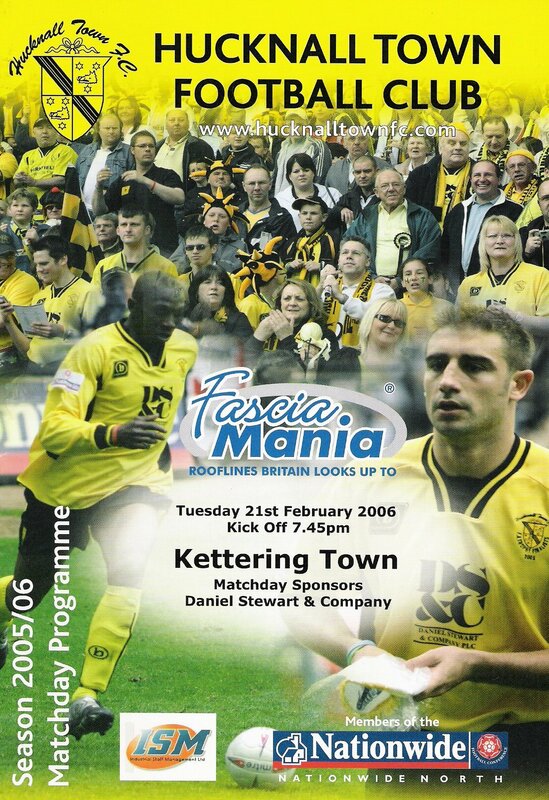 13 - Hucknall T> (NCN) v Kett Tn; (21/02); 40pp; £2; . 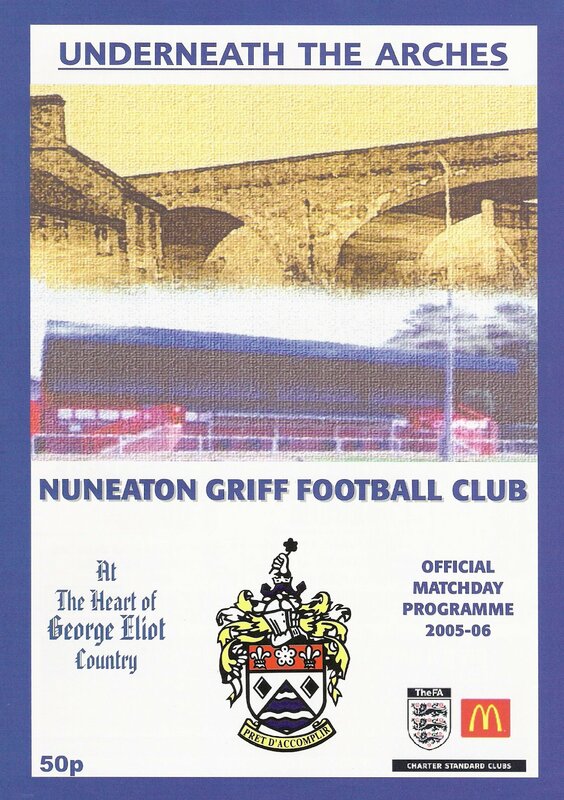 14 - Nuneaton G> v Cov Copsewd; (01/03); 40pp; 50p; . 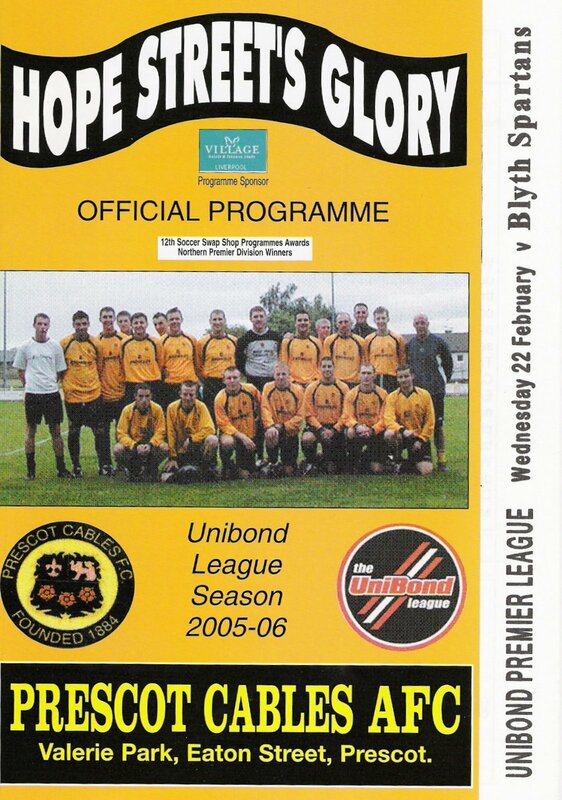 15 - Prescot C> (UPL) v Blyth S; (22/02); 60pp; £1.50; . 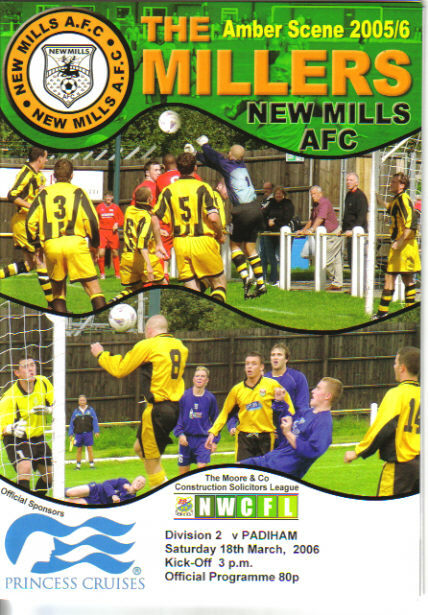 16 - New Mills* (NWCL2) v Padiham (18/03); 36pp; 80p; . 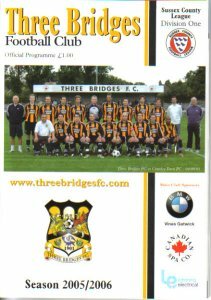 17 - Three Bridges* (SCL1) v Ch C Utd (25/03); 40pp; £1; .